GarageBand is a quite popular audio production software utility for MacOS and iOS devices. Well, it isn’t the best DAW for professional use but if you want a portable DAW to play, learn, and record – GarageBand should help. However, no matter how good it is, it’s still not available for Windows. So, in this article, we’ll see if there’s a way to use GarageBand for Windows and if there isn’t – what are the GarageBand alternatives. Thousands of Loops from popular genres like EDM, Hip Hop, and more. Share finished songs via social networks. GarageBand For Windows – Is It Possible? Although many users try to find a way to download GarageBand for Windows – nothing really works. We’ll recommend trying the alternatives instead of taking all the hassle to try using GarageBand in Windows. 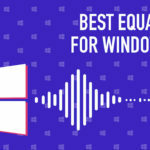 There’s no official support – so it’s completely useless to experiment – because for Audio production software utilities to work properly, the software compatibility/hardware compatibility is very important (which isn’t present in this case). Note: Every alternative mentioned offers the same basic set of features required to make a music. They only differ in their quality of production, VSTs, plugin support, and some proprietary tools. So, we have only mentioned the unique features for you consider the best alternative for your use. Features Overview: Playback instruments, Samples, plug-in support, SoundFont support and Open-Source. 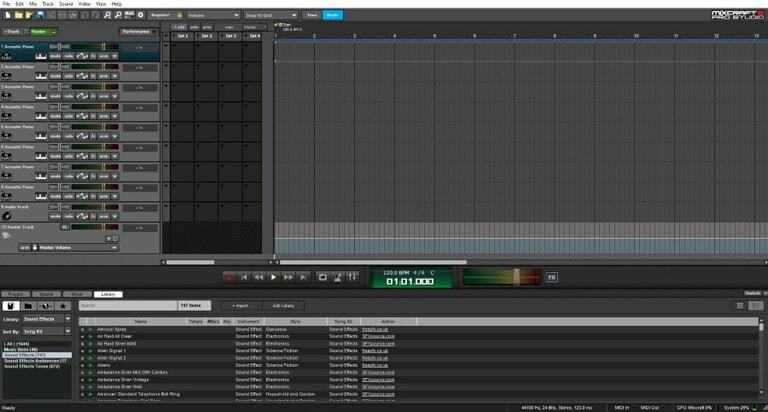 LMMS is a free and open-source cross-platform digital audio workstation that is an easy GarageBand alternative for Windows. It features a modern easy-to-use UI to let you easily operate it and create music. 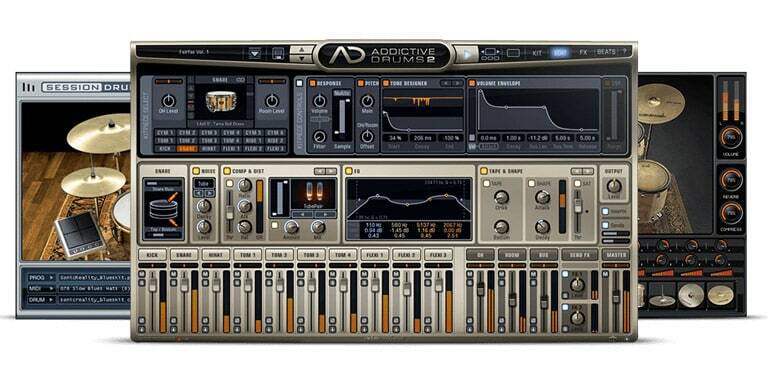 The software utility comes baked in with instrument and effect plugins, preset, sample loops, and VST. However, the VST database isn’t huge. So, if you are into music production for basic covers, instrumentals, background score, and so on, LMMS should do the trick. Not a big pool of instruments baked in. Features Overview: Unique Drum editor, Arranger track, Chord Pads, Premium VSTs included and Over 40 audio effect processors included. CUBASE is one of the most popular GarageBand alternatives for Windows 10. It comes equipped with a lot of advanced tools. 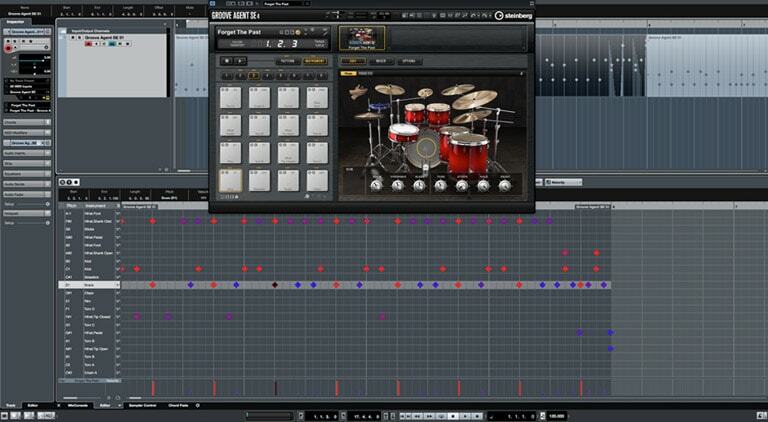 The Cubase Elements edition is much more appropriate if you just want to create music. If you’d like the ability to record vocals with effects, more VST support, and a lot of other professional features, Cubase Pro should be your choice. However, unlike LMMS, Cubase isn’t free. As a matter of fact, all the other GarageBand alternatives mentioned below (except Tracktion 6 & Pro Tools free edition) would need a purchase. In my opinion, if you want to create music forever (as a career/passion) – Cubase is worth purchasing. If you have the budget (100 Euros), I’d say that this is the GarageBand for Windows you’ve been looking for. Easy-to-use UI with Advanced options. Virtual Instruments like HALion Sonic SE Workstation included. Up to 24 Physical I/O. 16 VST Slots (if you want more, you will have to upgrade it to CUBASE Artist). Features Overview: MIDI sequence editor, Harmonic edition, Tuned for best integration with PreSonus MIDI controller & other audio equipment from PreSonus. Studio One is yet another impressive GarageBand alternative for Windows. I’ve been using it personally (the Studio One Artist edition). It’s been priced almost the same as Cubase’s editions. If you want to utilize a limited but good VSTs, the artist version will suffice. But, if 3rd party VSTs are your preference, then you’ll have to consider the pro version of it. Studio One also supports a remote software for an iPad, Android tablet, or Windows tablet, to let you control the audio workstation from your mobile – so it’s more flexible and convenient at times. Studio One Prime version available for free (for newbies). In-built effects and virtual instruments aren’t that impressive. Features Overview: Advanced monitoring capabilities, Track freeze, Over 60 plug-ins included, Cloud collaboration. Pro Tools is one of the best digital audio workstation available for professionals. If you’re fairly new to the music creation scene, Pro Tools First version should be your preference – which is available for free. You’ll get all the basic tools to create an amazing piece of music. Of course, the loop library will be much smaller than the paid version – but it’s doable. It’s way better than GarageBand – for obvious reasons. Pro Tools | First – free tool for beginners. Pro Tools Subscription (you don’t need to pay a huge amount if you’re in need of a music production software temporarily). In-built plug-ins aren’t that great. Features Overview: Automation Control, Multi-track audio recording with quick pitch shifting, Over 80 plugins included, Multi-touch support, Mobile version available as well. FL Studio is a beast when it comes to creating a music. It offers a huge library of loops, plugins, and instruments. Depending on what edition you purchase, you will get the loop content, samples, plugins, and instruments required for your project. 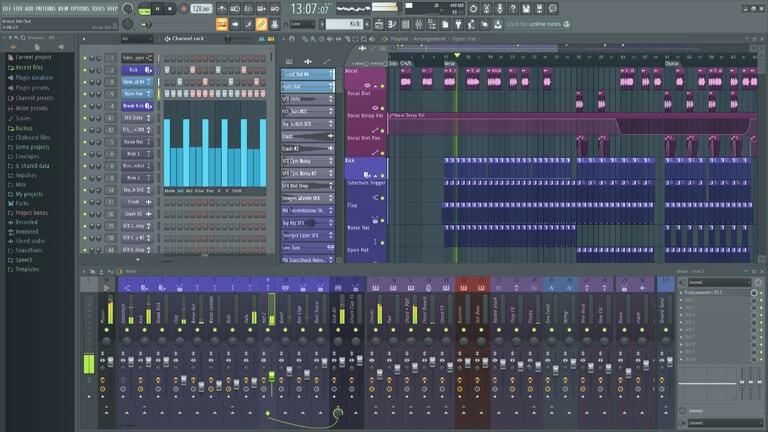 I wouldn’t recommend FL Studio’s fruity edition – so if you plan to get FL Studio to replace using GarageBand – you should get the producer edition at least. A large pool of inbuilt plugins. Mobile version available (if that matters). MIDI controller support is not impressive (I’ve had errors when I used it). 3rd Party VST integrations are not good as well. Features Overview: Instant mappings, Live community, Sampler, Perfectly tuned for Novation MIDI controllers. Ableton Live is the one you’d hear the most as a professional suggestion to have when you have a MIDI controller. Well, every DAW mentioned in this article is well-equipped with features to integrate a MIDI controller. However, Ableton Live seems to be a popular choice for that. If you have Ableton Push device – that’s a plus definitely. You’ll probably even forget why you’d want GarageBand for Windows. Good 3rd Party plugin integration support. 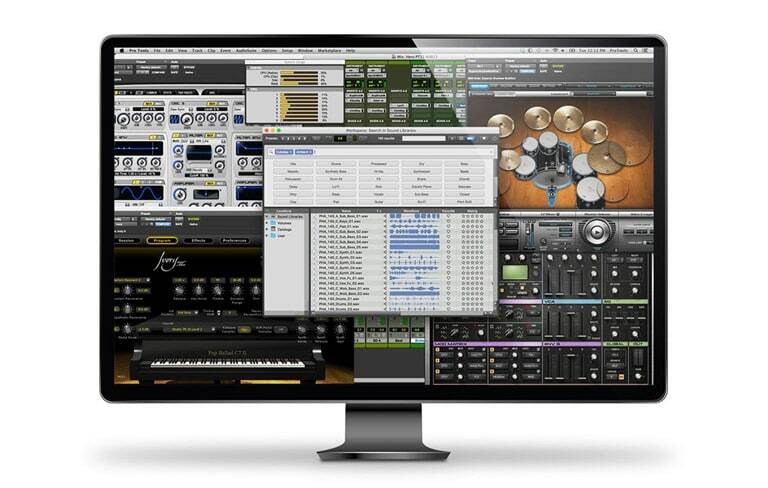 Features Overview: Integrated Melodyne Tuning software, iZotope mastering tools. 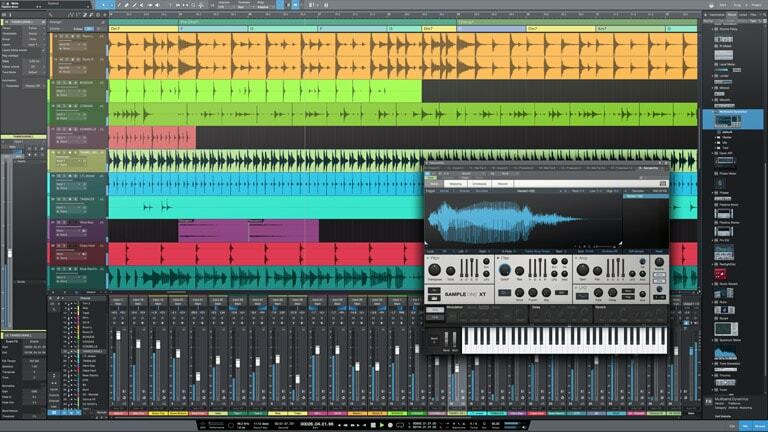 Acoustica’s Mixcraft 8 is a great tool to make music for all level of creators. 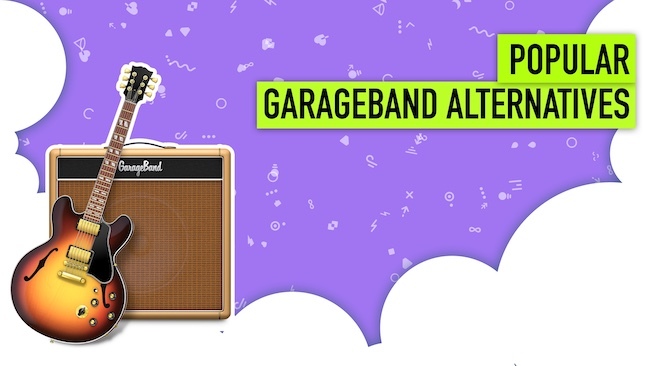 And, for beginners, it is a must-have GarageBand replacement for Windows. Also, it isn’t heavy on the system resources – so even if you have an old laptop to experiment with, you can give it a shot. When compared to other DAWs, Mixcraft 8 is a cheaper alternative with all the advanced tools you can imagine for a music production software. Loaded with a lot of inbuilt plugins and loops. Lacks 3rd party plugin integrations (with quite a few important VSTs). 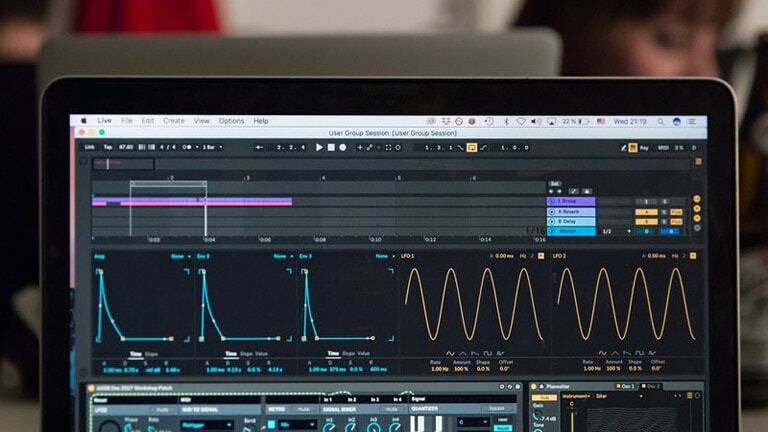 Features Overview: MIDI Notation Editor, Rescript (Create anything from simple macros to complex new functionality), Real-time programming track while using a Video. A quite popular DAW which is a budget alternative to other expensive music production software utilities. It comes baked in with almost every essential tool required for a professional to make music. Less built-in effects and plug-ins. Features Overview: MIDI routing support, Automation, Scripting, Control surfaces. 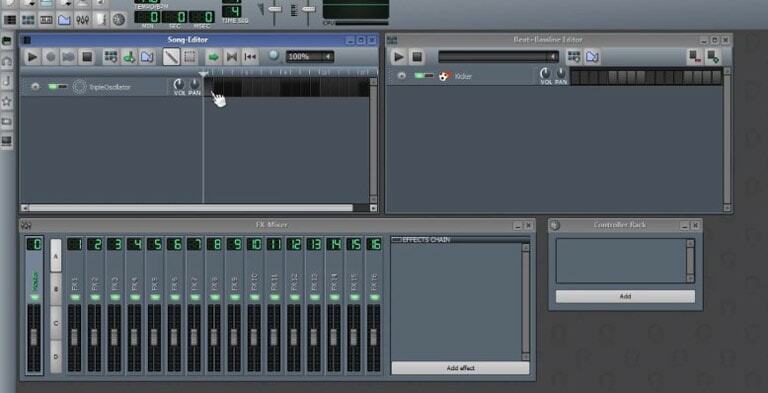 SONAR is a quite similar digital audio workstation which can act as a powerful GarageBand replacement for Windows machines. Also, it offers better/cheaper pricing plans – in case you do not want to spend a fortune to experiment in making music. The best thing about it is – you can try the software for 30 days without requiring to provide your credit card details. So, yeah, it should be a great deal – when you already know what you’re getting, before purchasing it. A wide 3rd party integration support. Less in-built effects and plugins. Features Overview: Clip Nesting, Advanced MIDI controls, In-line step sequencing. 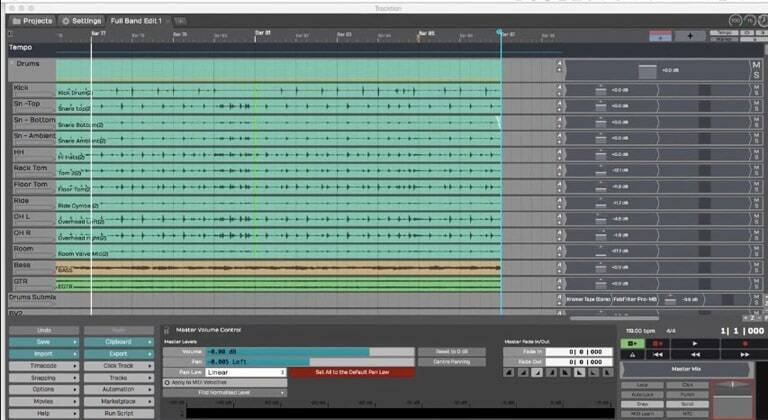 T6 DAW is a free GarageBand alternative for Windows. It is absolutely free with no in-app purchases. You can perform all the basic music production stuff without spending a penny. However, if you want to utilize its rich plugin collection, enhanced virtual instruments, and more, you will have to separately purchase them. Supports Linux platform as well. Lacks 3rd party plugin integration. We do realize that we cannot use GarageBand on Windows – because there’s no official support whatsoever. And, in addition, GarageBand isn’t really the best solution for you to create music. Yes, it could come handy if you have a MacBook and an iPad. However, for Windows, the alternatives offer better and more powerful features than GarageBand itself. So, you should try the alternatives – and if you’re a professional – Cubase, Studio One and Ableton Live would be my personal recommendation.